Immaculate Conception is the title by which we recognize that the Blessed Virgin Mary by a special grace of God was exempt of original sin. She announced herself with this title to Bernadette Soubiruous in the Apparitions of Lourdes in 1858. 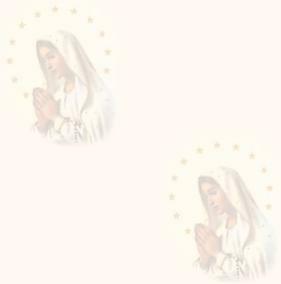 The authenticity of these apparitions has been verified by the authority of the Church in view of the great number of miracles that have taken place in the Sanctuary of Lourdes. It is very dignifying for Mary to be the Mother of Jesus, the Son of God. She is the new Eve, created without a stain of sin to be the Mother of Jesus and of all the children of God. We all have inherited the original sin from Eve, the mother of all the children of Adam. Since Jesus is the new Adam, her mother was created with this unique privilege of being free from original sin. Our Lord Jesus Christ consecrated us as children of Mary in the person of John the beloved apostle when he was in agony on the cross. To John He said, there is your mother, to Mary He said as He gave her all the children of God: here is your son. The children of Mary are the children of God in His Divine Grace, all saved by Jesus, who accept Mary as their mother.